Great value crossover trail sled and is designed to deliver confidence that makes your day on the snow the best it can be. PRO-RIDE® CHASSIS: The INDY® 144 is built on the PRO-RIDE® chassis that is 300% stiffer for precise, intuitive handling. 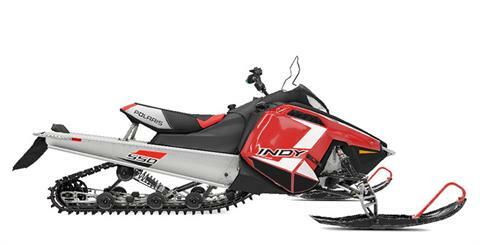 The ideal choice for a nimble handling sled that is fun to ride. RACE-PROVEN FRONT SUSPENSION: Lighter steering, sharper cornering. Developed with the Polaris® Racing Program, the performance and durability of the INDY® 144 front suspension were proven in extensive on- and off-track testing. COIL-OVER REAR SUSPENSION: Designed for better flotation and deep snow performance with improved on-trail ride. By eliminating the torsion springs and redesigning the torque arms, this skid weights substantially less. CVTECH POWERBLOC50 / INVANCE CLUTCHING: All INDY® models that feature the 550 Fan Engine use the CVTech PowerBloc50 drive clutch paired with the Invance driven clutch. This clutching delivers smooth engagement, enhanced low-speed drivability, and quieter operation. These durable clutches have a maintenance-free design and are easy to tune while installing on the sled. 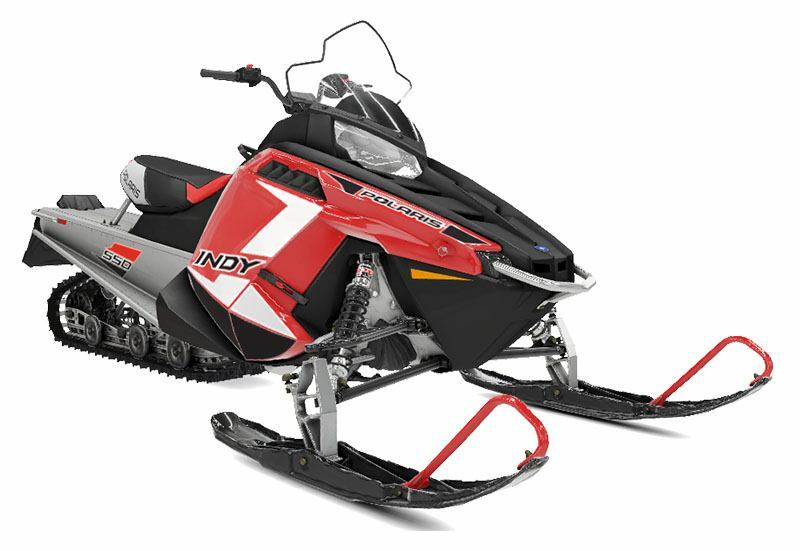 LIGHTER WEIGHT: The INDY® 144 is 50 pounds lighter with the PRO-RIDE® chassis. INDY® PRO-RIDE SEAT: A wider surface right where the rider sits provides enhanced comfort during long days on the snow, and the seat design allows easy transition between seated and standing positions. HANDLEBAR & STEERING POST ANGLE: The INDY® 144 design has a 15 degrees flatter steering post angle developed for sit-down and standup riding comfort and flexibility.